Residential School Trips For Secondary Schools - for even bigger adventures! At Wildchild, we specialise in delivering ‘real’ outdoor residential adventures for secondary schools that broaden horizons, build independence and develop practical life skills. Our flexible activity programmes are developed through consultation with pupils’ teachers to enhance and complement classroom learning, meeting key objectives and delivering tangible results back in the classroom. The benefits of outdoor learning are varied, and widely acknowledged. The term ‘Brilliant Residentials’, created by the Learning Away campaign, funded by the Paul Hamlyn Foundation, highlights the physiological and educational benefits of allowing pupils of all ages to engage in good quality outdoor learning opportunities throughout their education. As part of their Secondary School journey, pupils get the most benefit from learning opportunities that build resilience and independence, strengthen their confidence, and improve communication with their peers and teachers. Outdoor learning provides invaluable opportunities to build on these essential skills, that help children grow into confident, independent and successful adults. – Help ease the transition from Primary school. – Encourage teambuilding with new peers. 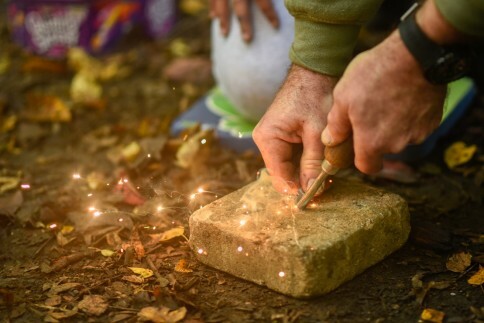 – Encourage the development of practical life skills through bushcraft, outdoor survival days, designed to teach pupils the importance of the natural world we live in. – Work as an introduction to inspire future outdoor challenges such as the Duke of Edinburgh Award. – Connect classroom learning with real life experiences. Our focus on providing pupils with a ‘real’ outdoor adventure helps pupils establish a meaningful connection with the great outdoors. Through teambuilding games and challenges, bushcraft survival skills sessions, and outdoor adventures such as kayaking, climbing, potholing and zipwire, we encourage pupils to work together, to explore the outdoors, to believe in their abilities, and by supporting each other, to overcome any challenges along the way. Bushcraft-based activities (including Shelter building, fire-lighting, Camp-fire cooking, tracking and navigation, water filtration). Outdoor adventure activities including archery, climbing, high ropes, orienteering, crate stacking, abseiling, pot-holing, kayaking, zipwire and much more. Team-building games and Problem-solving activities – perfect for helping year groups and teachers get to know each other better, building confidence and improving co-operation and understanding. 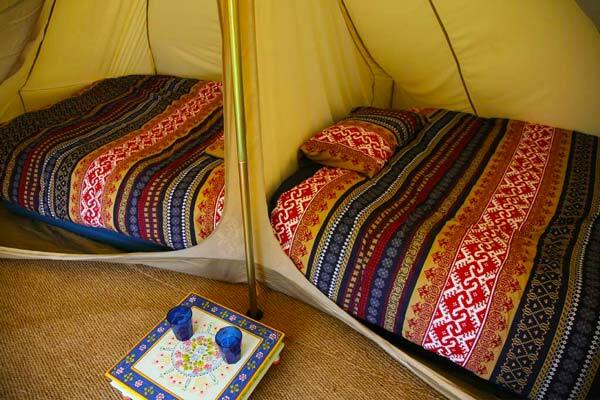 Accommodation for teachers and pupils in traditional canvas bell tents or dormitory-style lodges. To request a brochure, arrange a preview visit or discuss your secondary school residential trip call us on 0845 371 7099, click here or email info@wildchildadventure.com.